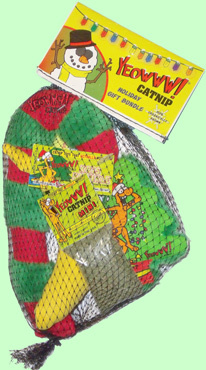 Bring your kitty some holiday cheer with a little something special. Each toy is 100% stuffed with Yeowww! organically grown catnip. They do not contain any stuffing or fillers.